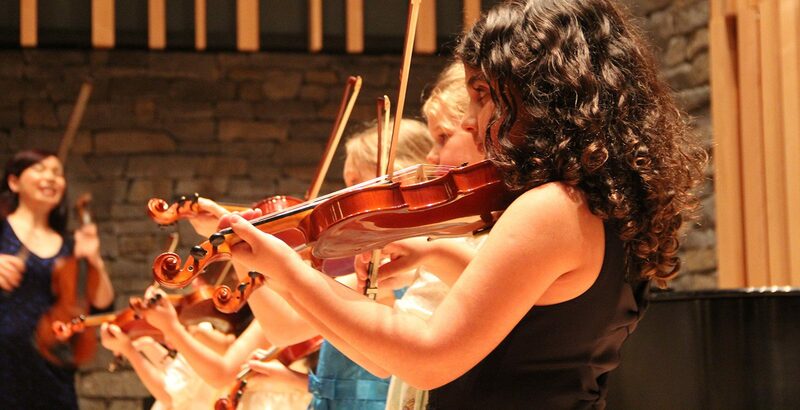 The Suzuki method is based on the concept that children learn to play musical instruments as naturally as they learn to speak, focusing on listening, repetition and memorization. This class prepares children to begin Suzuki violin lessons, through exercises in rhythm, singing, and in learning to hold the instrument correctly. Participants may be ready to start individual violin lessons after one term, or they can choose to continue in the prep class for further terms until they are ready. *Please note that you do NOT need to bring an instrument to our string prep classes. Students start on a cardboard instrument to learn proper technique.